PMP is one of the best professional credential in the field of Project Management. PMP certification has grown in prominence over the last decade and has become a sought-after credential, according to the Project Management Institute or PMI. Just by attending a PMP Exam Prep coaching seminar, and studying for the exam will make you a better project manager – as you will learn beyond what you need for your day to day project management. Increased Earnings: The average salary for project management professionals in the USA is $101,505, according to the PMI Project Management Salary Survey-Fourth Edition. Managers who hold the PMP certification also often make more money than non-certified project managers. This is true for over 23 countries I have visited… for conducting PMP Exam Preparation workshops. Growth in Career Prospects: The PMP certification program maintains ISO 9001 and other accreditation like the 17024 accreditation. This internationally recognized accreditation is recognized by the global business community and often leads to better career opportunities to someone who is PMP certified. Attain your PMP certification, and add value to your CV. You can show to prospective employers how serious you are for your career. Enhance Your Marketability: The PMP certification enhances your professional marketability in the field of Project Management. Future employers will often choose individuals with a PMP certification over other non-qualified project managers, because of the reduced risk the PMP certification affords the employers. The PMP certification also helps to bolster resumes by legitimatizing the included experiences of a project manager. Improved Project Management Skills: You must undergo rigorous preparation to get your PMP Certification. This process includes a significant amount of coursework ( 35 hours minimum) and study to qualify for and pass the PMP exam. Project managers often experience improved skills and knowledge while preparing to sit for the PMP exam based on the hours of coursework and study. Apart from being a credential, while studying for the exam, you learn that there are other, better ways to managing projects, which are different than what you practice in your day to day project management. Professional Validation of Your Experience & Competence: The PMP certification offers validation for professional accomplishments. PMI certifies that an individual has achieved the necessary years of experience and knowledge in order to be granted PMP status. Thus, having the certification is a quick way to enter new countries, new markets, and new industries, because your basic qualifications, and your expertise and competence in the field of project management is established already. 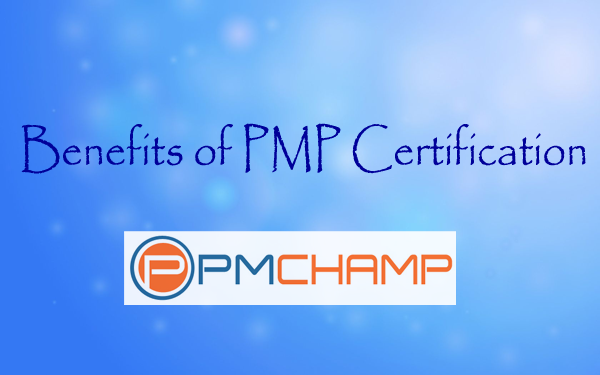 The benefits of PMP Certification are immense! Not only will you become a more complete person, you will become a better project manager. Do not delay! 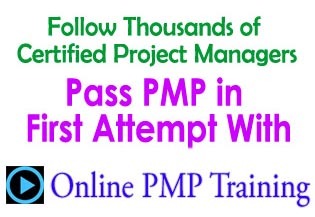 Go ahead and get your PMP Certification quickly. Can you please advice me if iam eligible to appear for PMP exam. I am working as an Asst. manager MIS, Planning and Quality for the last three years. I am working as a peoplesoft Functional implementer since 3 years. I want to do PMP certification. Can you tell me what kind of certification suits me. I am from Finance background. A PMP certification will definetely help in progressing your career in project management, and senior roles. I am Mechanical Graguate with 4 years of experience. 2 years in IT as a QA(currently I am working in software company) & 2 yeard in mechanical Design. Now I am pursuing EMBA in Project Management. I am looking for a PMP certification course. If I am not eligible now then Please tell me what I have to in coming years to become eligible for this certification course. My MBA will finish in June 2013. I’m in the process of submitting my PMP application form. Its taking alot longer than I originally anticipated. I was told that after it has been submitted, you will receive an email within 5 working days to notify you whether you have been audited or not. This seems to be a random process. However, they also add a disclaimer that they have the right to audit at a later date. I was told you need to study for around 2 months. This should be sufficient time. Also, not that the new version of the PMBOK is in affect from 1st August 2013 (Version 5). As i am working as bussiness dev manager in automobile sector and i have 5 yrs in various field including baning sector,kindly suggest me about PMP certification.